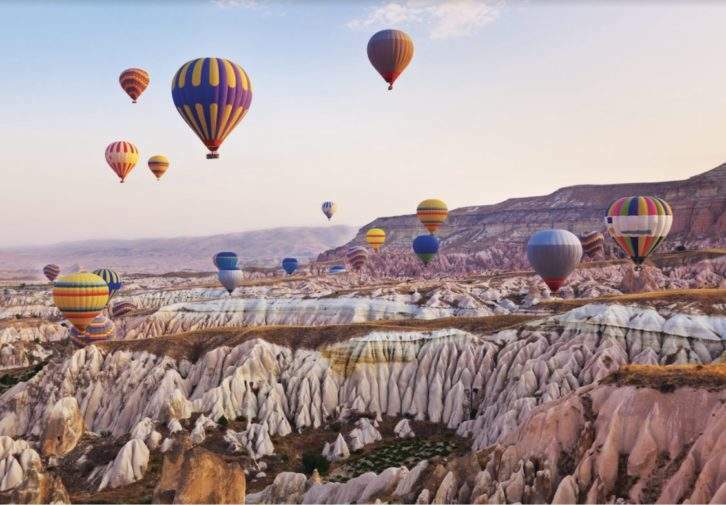 With its surreal, otherworldly terrain, Cappadocia is a landscape like no other. Best known for its distinctive conical rock formations (known as ‘fairy chimneys’), the magical region is also home to an abandoned underground city that dates back more than 2,000 years. Take in the enchanting scene from above with a hot-air balloon flight at sunrise — watching the sun soar above the ‘chimneys’ is truly spectacular. Back on land, settle into the gorgeous Argos in Cappadocia Hotel. Owner Gökşin Ilıcalı spent 13 years converting centuries-old stone mansions and an underground labyrinth into this romantic getaway. Some of the suites are carved directly into the rock, and there’s even a naturally created underground concert hall — head there for a traditional Sufi dance performance.